On 26 September 2018, in anticipation of International Right to Know Day, the Centre for Law and Democracy (CLD), the Office of the Information and Privacy Commissioner Nova Scotia, and The Right to Know Coalition of Nova Scotia sponsored a trivia night on the theme of “It’s Your Right to Know!” at the Board Room Game Cafe in downtown Halifax. The host for the evening was Fola Adeleke, Freedom of Information and Privacy Officer at the Nova Scotia Health Authority and Senior Research Fellow at the Mandela Institute at Wits University. 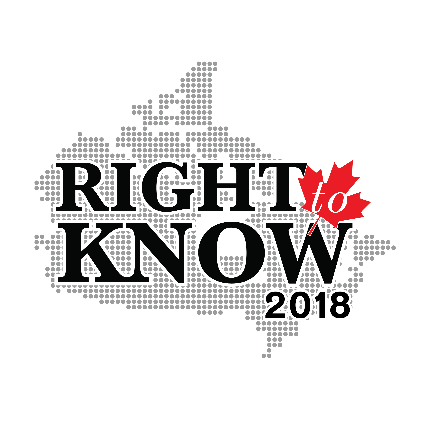 Participants delved into topics such as the foundations of the right to information in international human rights law, the history of access to information laws and the practicalities of making a freedom of information request in Nova Scotia. Would you have been able to answer the following questions? Which country was the first ever to adopt a right to information law? The answer is Sweden, in 1766. As of today, how many countries have adopted national right to know laws? Over 120 countries have adopted such laws. What is the basis, in international human rights law, of the right to information? The right to information is considered part of the right to freedom of expression. True or false: in Nova Scotia, most access to information requests are made by the media. False; most requests are made by the business sector. What is the longest time extension claimed by the Canadian government in response to an access to information request, based on complaints to the Information Commissioner of Canada? The answer here 9,840 days, which is almost 27 years. If you would like to learn more about the right to information, visit the media page of the Centre for Law and Democracy’s website (https://www.law-democracy.org/live/media), join our mailing list (https://www.law-democracy.org/live/join-our-mailing-list) or check out the RTI Rating website (rti-rating.org).